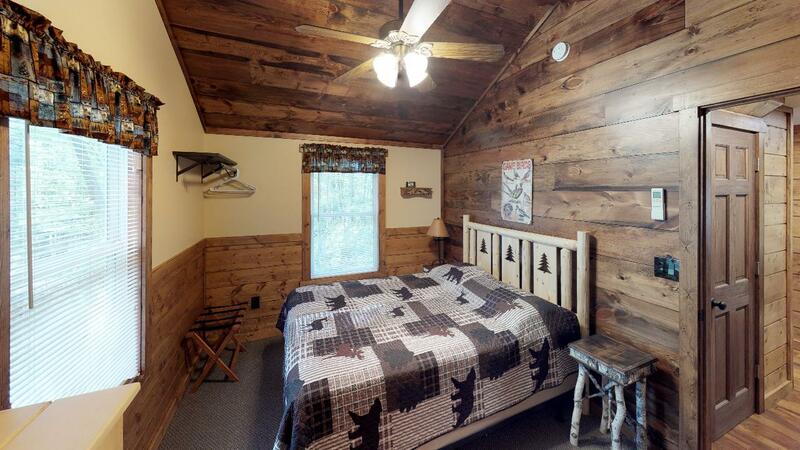 Features a "TREE HOUSE BEDROOM"
This cabin sports a rustic log exterior and a three-season porch that's great for relaxing in hot summer days. 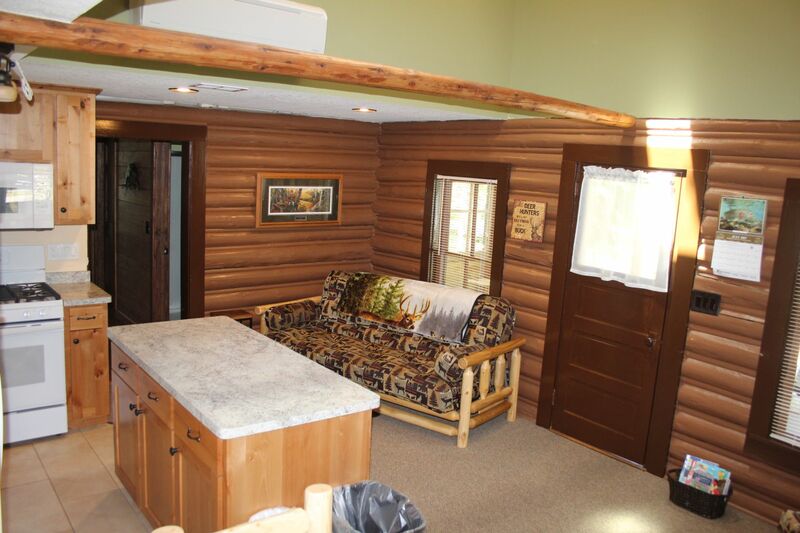 New in 2017 a complete remodel and addition of this cabin. 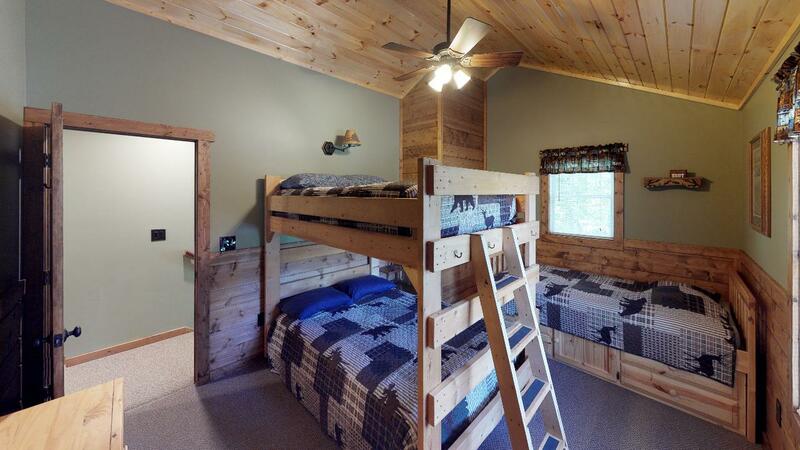 It is a site to see with one of the three bedrooms being a tree house bedroom! 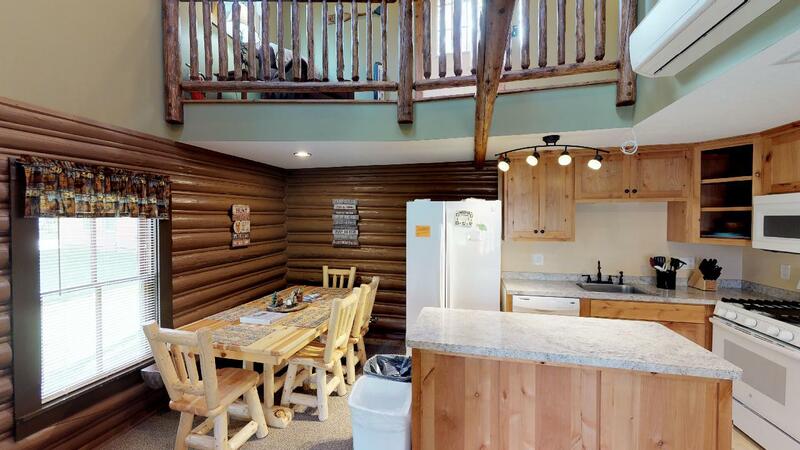 There is Central Air/Heat, 2 full bathrooms and a dishwasher in the completely updated kitchen. 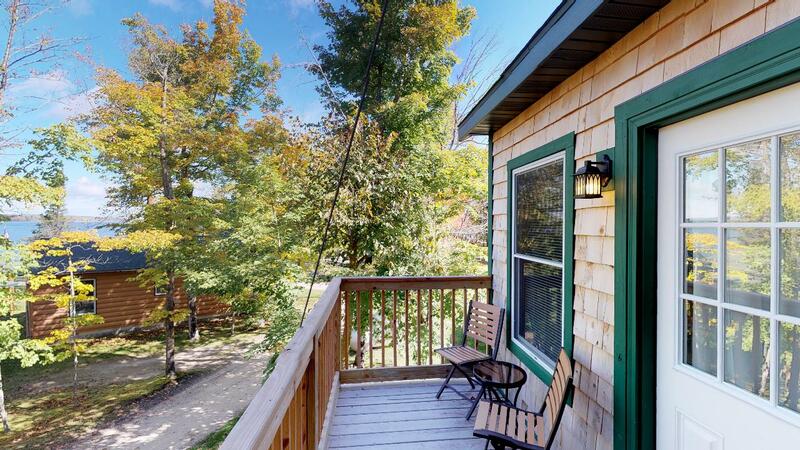 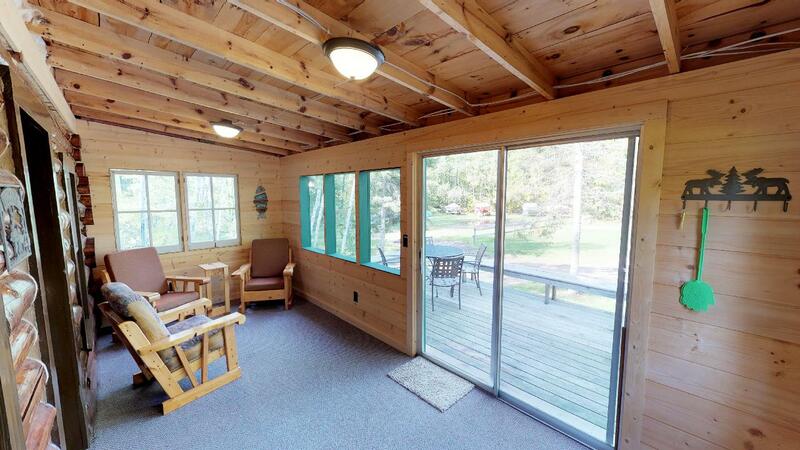 The 3 season porch with a view of the lake is a favorite feature on this newly renovated cabin. 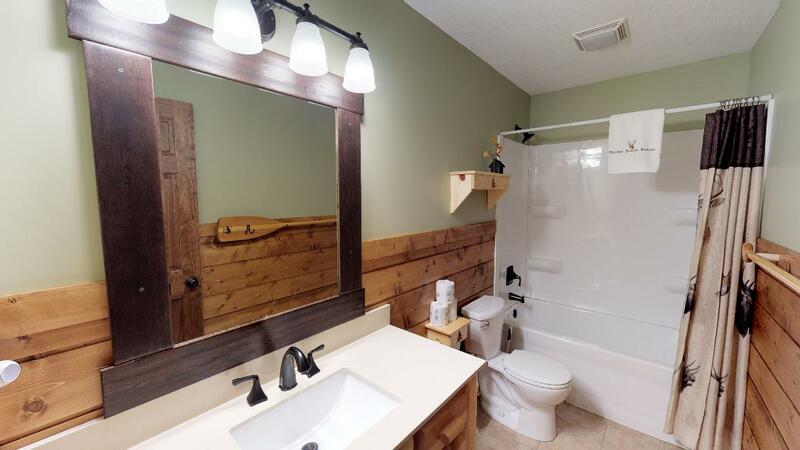 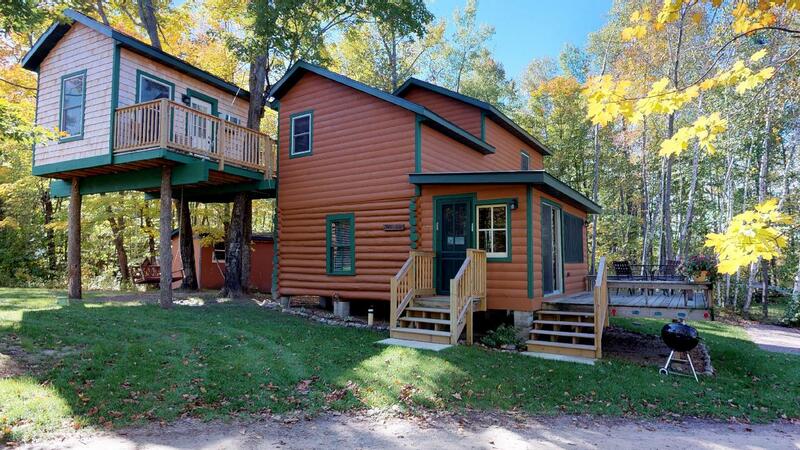 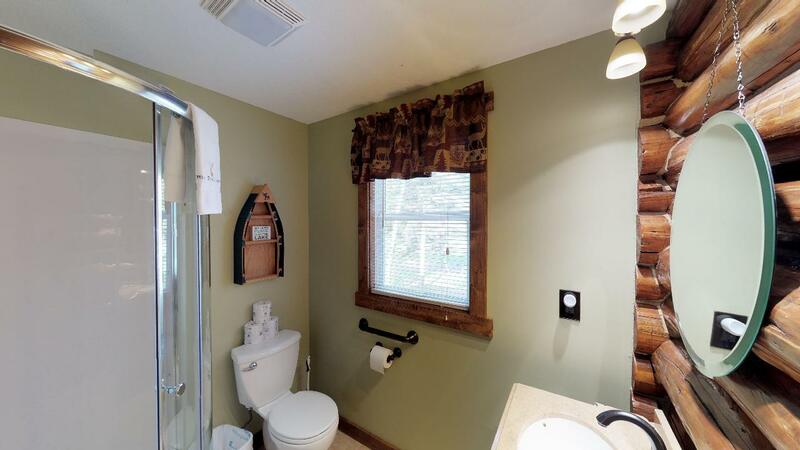 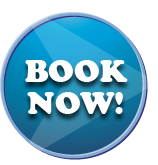 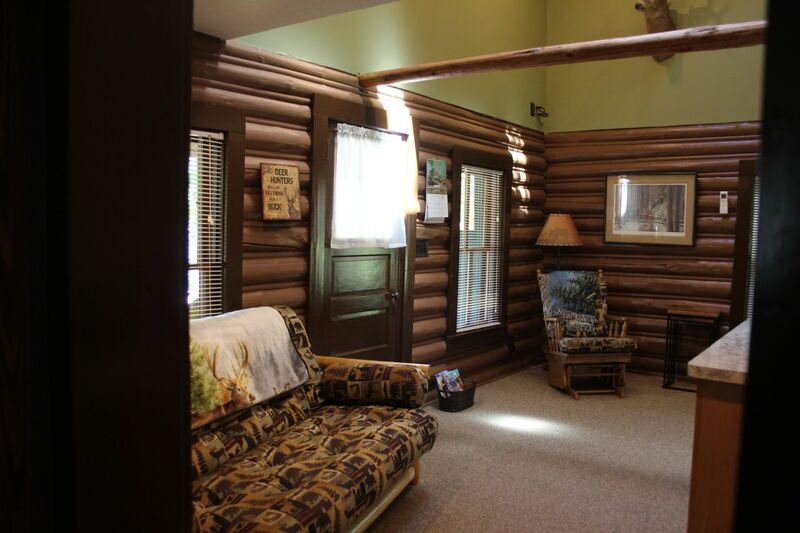 View virtual tour of the cabin! 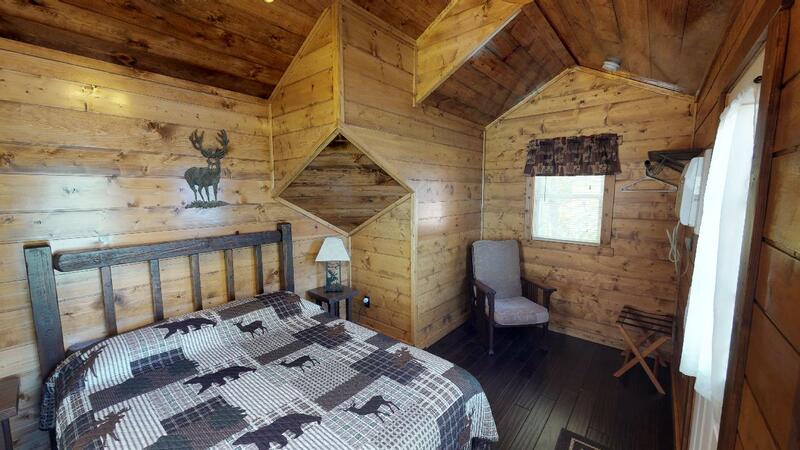 View virtual tour of the tree house bedroom!